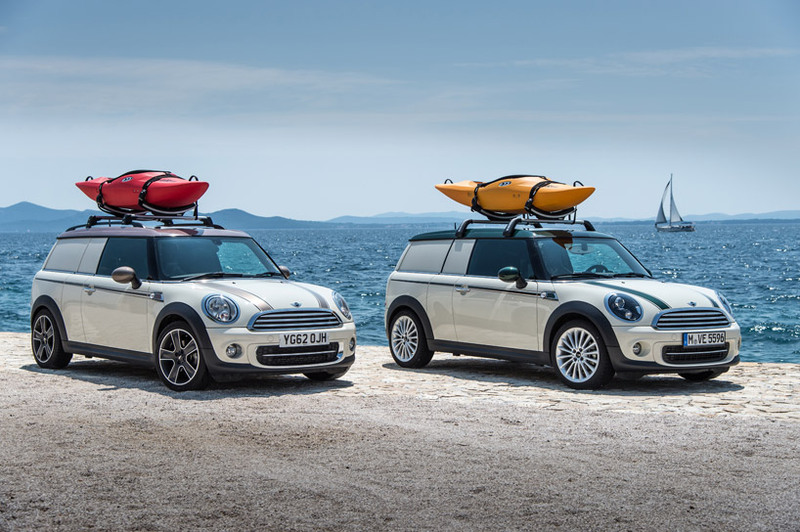 MINI is a british automotive marque owned by BMW which specialises in small cars. the original MINI was a line of british small cars manufactured by the british motor corporation from 1959 until 2000.
mobile units art and design surveys a range of projects, from a converted chevy cargo van into a nomadic filmmaking studio, to portable sled habitats that can move across the arctic - showcasing a range of innovative projects and the diverse materials employed in their design. 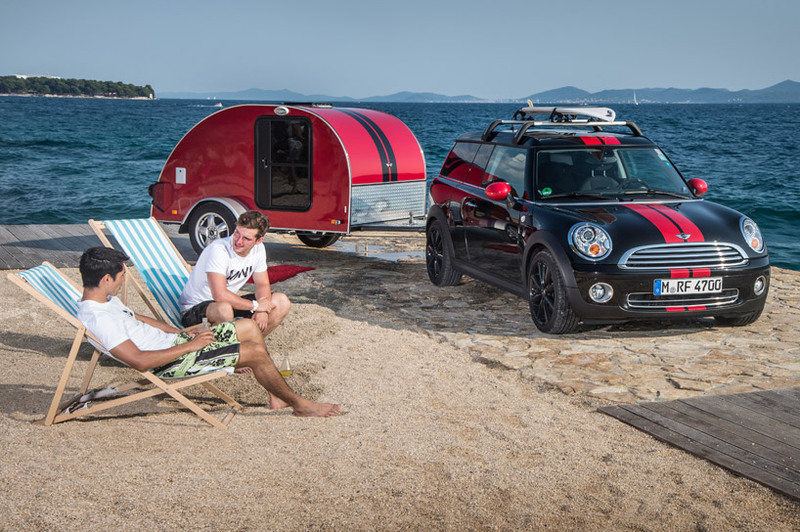 to celebrate the summer months, MINI has unveiled three new overnight vehicle solutions for the weekend warrior, capturing the spirit of ‘it’s a MINI adventure’. 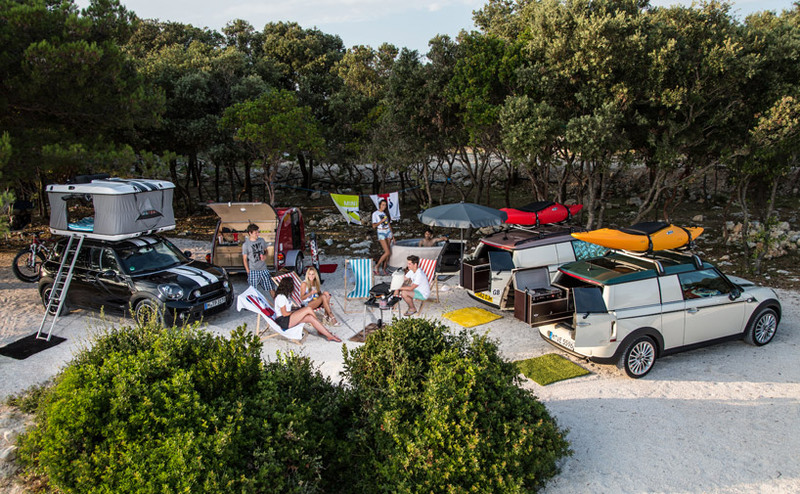 each unique to a specific context, the concepts have been to create to reflect the different aspects of camping and festivals, creating a choice of premium home-from-home options for the enthusiastic traveler and adventure seeker. 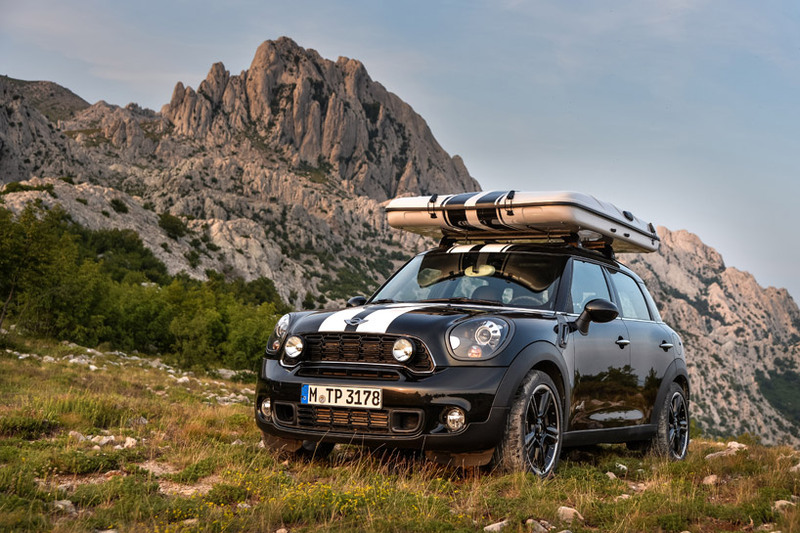 developed around the idea of ‘maximum touring pleasure with minimal footprint’ philosophy, the MINI’s illustrate the principle of creative space utilization. 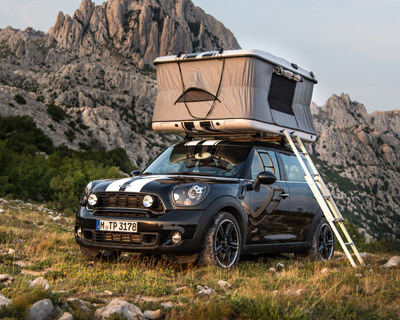 the collection includes ‘the clubvan camper’, ‘the countryman ALL4 camp’ and ‘the cowley’; a tiny camper van, a rooftop tent and a compact caravan. arguably the world’s smallest luxury camper van, the ‘MINI clubvan camper’ is conceived as a versatile home on wheels. the interior provides a spacious sleeping area for one person, alongside an extendible kitchenette complete with propane stove and chest fridge. the camper also includes an integrated hand-held shower, with a water tank housed underneath the load floor for rinsing off after a long day outdoors. at night, a small glass panel can be opened for ventilation or for looking at the stars, while the storage rack gives users additional space for storage and equipment. on-board satellite navigation comes standard, with a television and auxiliary heater. 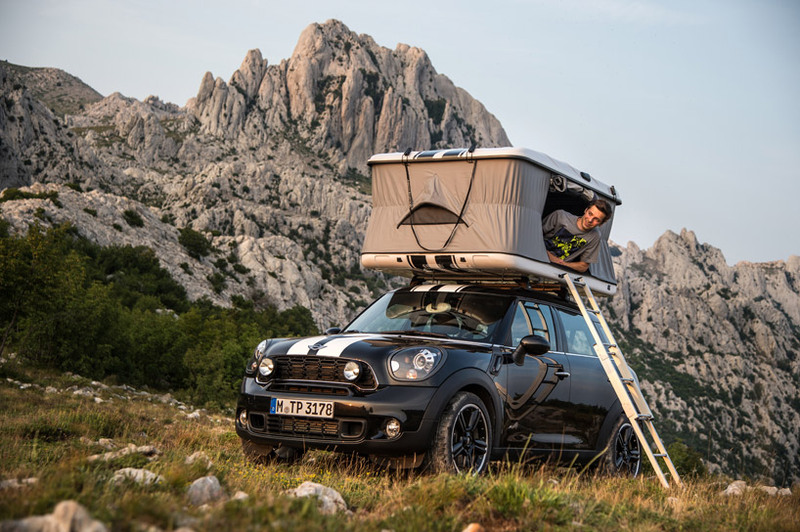 the innovative roof-top tent is showcased above a MINI countryman which, thanks to its intelligent all-wheel drive system ALL4, is well-suited to traveling over rough terrain. the upper half of the tent is simply folded out of its storage box; the space accommodates two sleepers comfortably, providing perfect views of the ocean, mountain or valley when one wakes up. in addition, a mountain bike can be easily transported on the specially fitted bicycle rack, and the unit quickly folds away into its box when it’s not needed. the cowley caravan compact touring attachment is a luxurious overnight alternative. fitted with two comfortable sleeping arrangements, a twin-burner gas stove and a water tank complete with pump and sink. a solar-panel charges the on-board battery with a 230-volt connection that powers the fridge, television and audio equipment. the MINI cowley is a compact yet comfortable caravan for two people, equipped with a twin-ring gas stove, fridge and sink. look familiar? 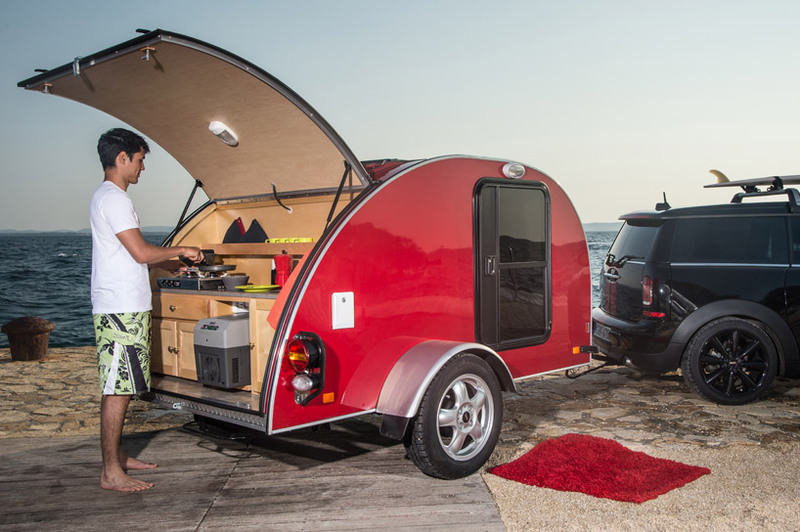 you’re probably thinking of the ‘MINI luxury camper + caravan‘, which ‘debuted’ on april fool’s day 2012! great! need for my Celica!